Agatha Christie, the famous English mystery writer, created a sensation when she disappeared in 1926. Her car was found hanging off a cliff and an enormous manhunt ensued. Eleven days later she was recognized – she’d been staying in a nice hotel in Harrogate, Yorkshire, under an assumed name. The BBC says it was “just like a plot from one of her own books.” Undoubtedly Monsieur Hercule Poirot would have found her in no time. Read more here. I thought of Agatha when we arrived in Harrogate, wondering if she was just a little amused by all the hullabaloo going on around her. On the last day of our English adventure, we are joining my auntie and uncle at the Harrogate Flower Show. 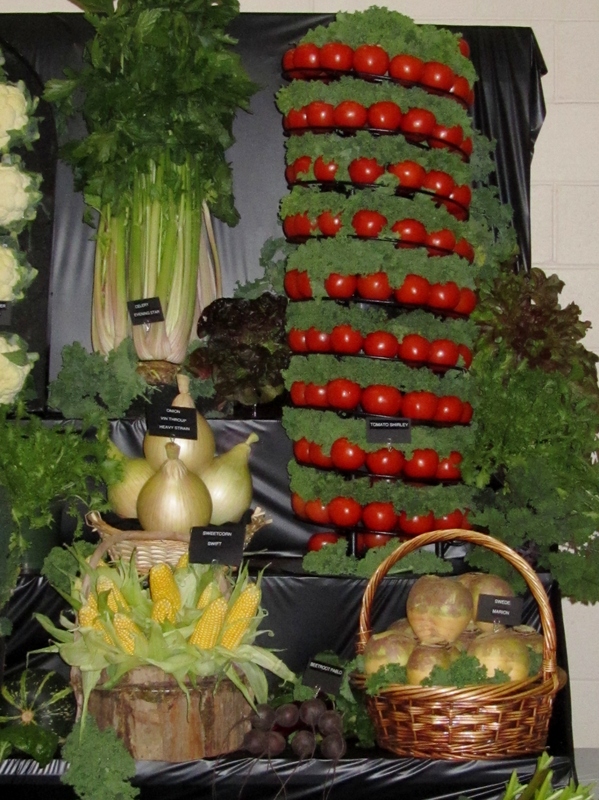 The show is packed – every building is crammed with gardening fans who’ve come to look at champion veggies and flowers. Agatha would have no trouble getting lost in this crowd. 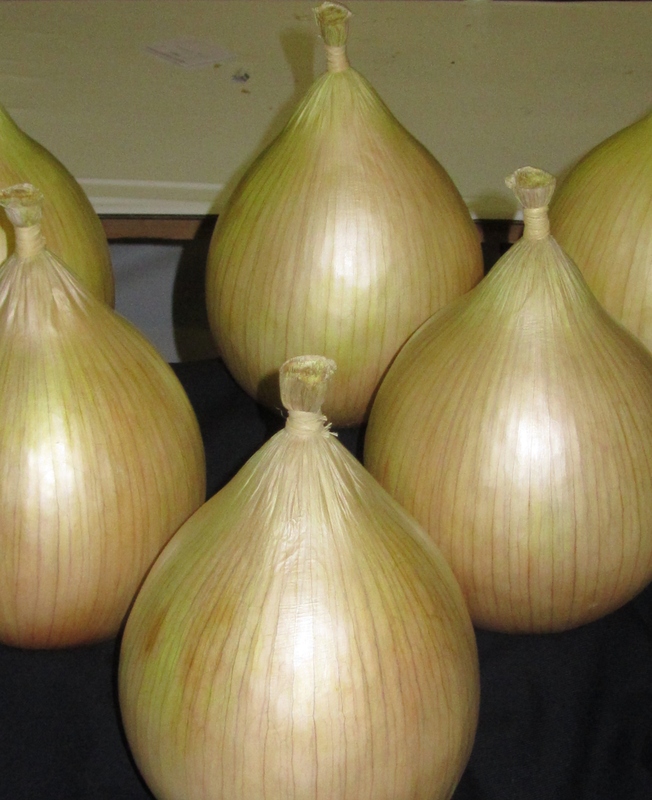 The winning onion set a world record at 18 pounds. The onion master also won for a 119 pound marrow! Check it out: http://www.flowershow.org.uk/. All the signs tell us not to touch these agricultural amazons, but it’s hard not to reach out, just to reassure ourselves that they truly are real. 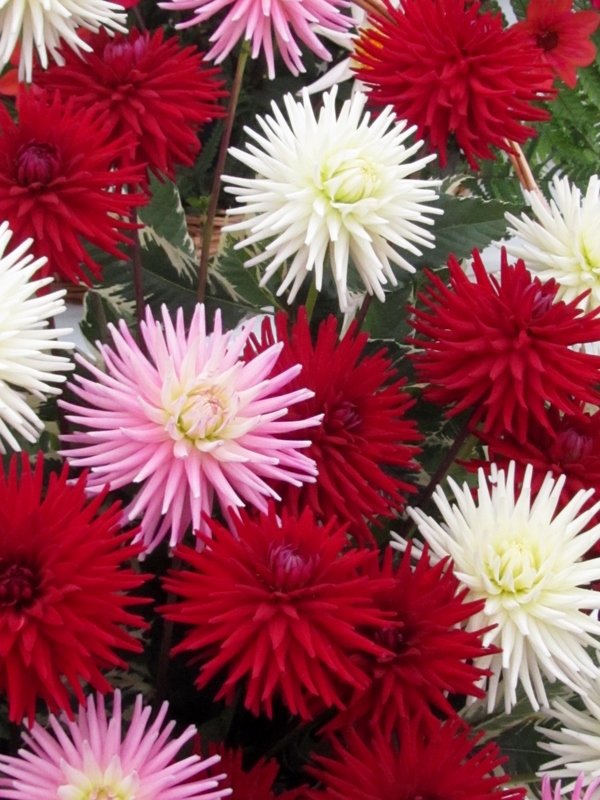 Among the flowers, the dahlias are the show stoppers. With curly petals and brazen colors, they are lined up like Radio City Rockettes, perfect in their gorgeousness. I cannot stop taking photos. Finally, all three of my companions are staring pointedly at me and I head for the door, glad for digital cameras and endless clicks of the shutter. We walk through the biting Yorkshire wind to the bus and tuck ourselves in to watch the lovely countryside on the ride back. Soon we’ll be on the plane, filled with memories, our heads nodding through the hours and time zones, back to Oregon.